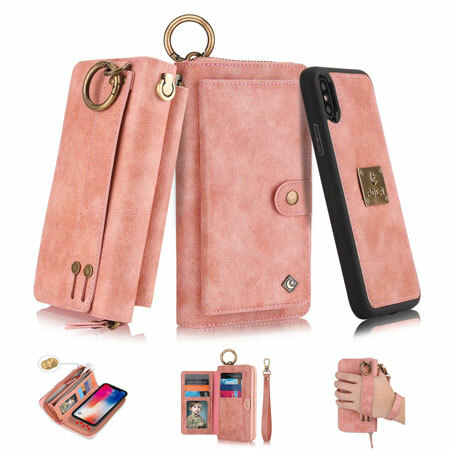 EMMA Bandolier iPhone XS Case: this women’s wallet case for iPhone comes with an adjustable, detachable crossbody strap. It holds credit cards and cash on its back. 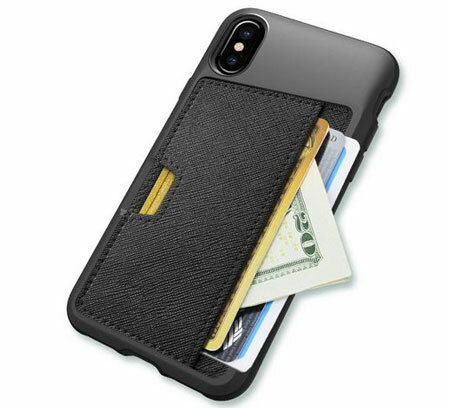 ZVE Case iPhone XS Case: a leather wallet case with a credit card holder slot. It can hold more than 10 cards. 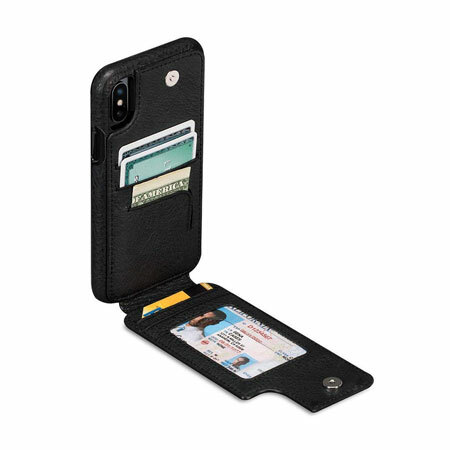 Wallet Slayer Case: this credit card iPhone XS case can hold 3 cards plus cash. It has air pocket corners and grippy sides. TechCode iPhone XS Cover: a multipurpose case with a removable strap. It looks gorgeous but is more than capable of protecting your phone and cards. 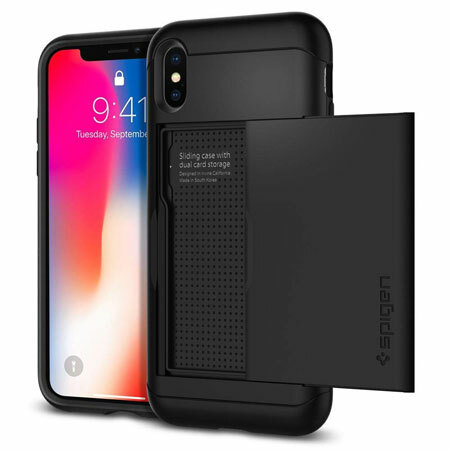 Spigen Slim Armor CS Case: this iPhone XS case is slim and pocket friendly. It has space for two cards. It protects your phone against drops. SENA WalletSkin Case for iPhone XS: protects your phone from drops. It also has card slots and an ID holder. Comes with magnetic closure. 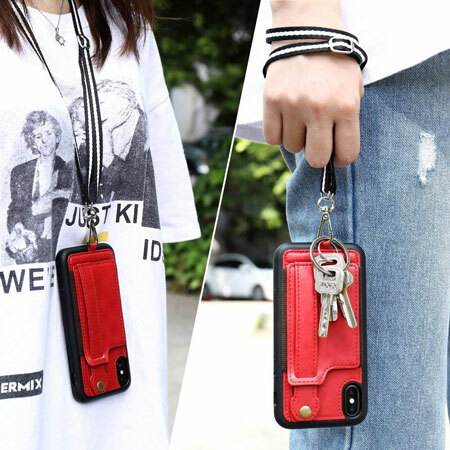 TOOVREN iPhone XS Case: a protective case with a card holder and adjustable, detachable lanyard. You can easily wear it around your neck or wrist. Pola Flip Wallet Case: a handmade cowhide wallet case with magnetic closure. It has a wrist strap too. 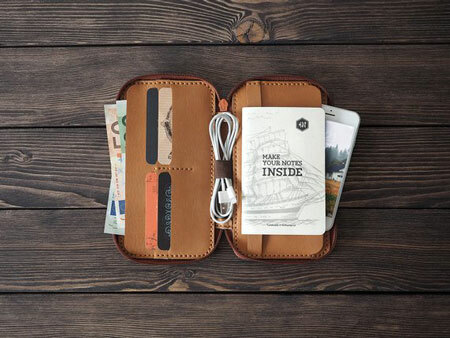 You get space for 12 cards, earbuds, and personal things. 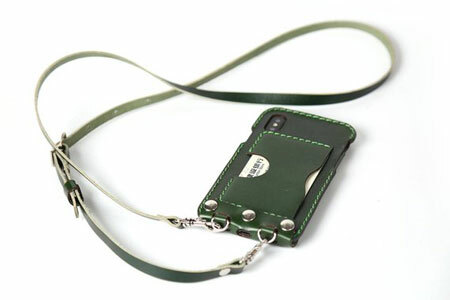 Burkley Detachable Leather Wallet Case: acts as a wallet and detachable snap-on case for your phone. 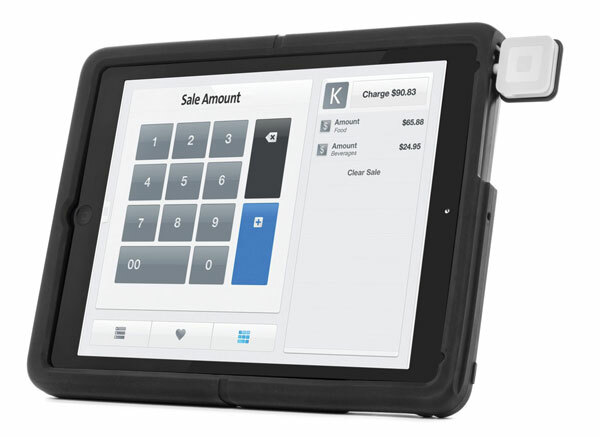 The wallet can hold credit cards, IDs, and cash. Comes with a magnetic clasp to secure your phone. 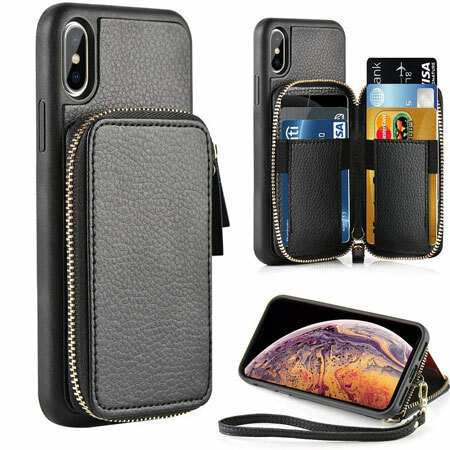 iPhone XS Wallet Case with Shoulder Strap: an ultrathin leather iPhone XS case with an adjustable strap and card slot on the back. 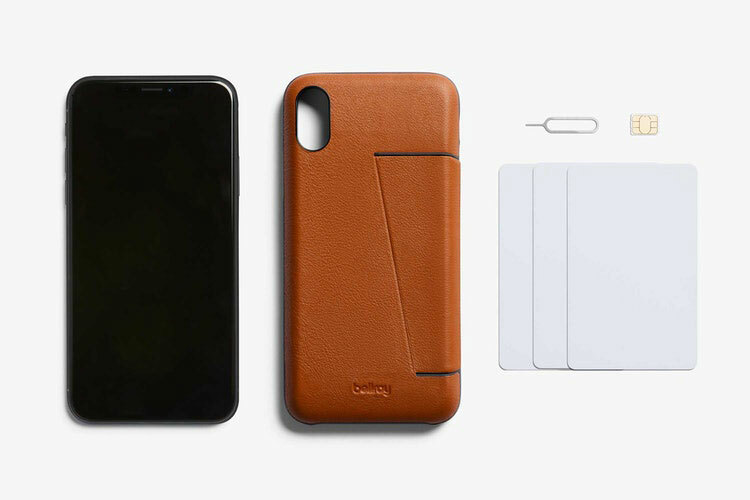 Bellroy 3-Card iPhone XS Case: made of environmentally certified leather and polymer. It has a section that holds up to 3 cards and a SIM card slot. 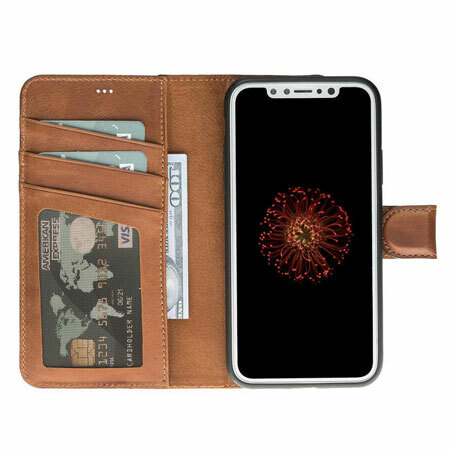 SAVYOU iPhone XS Wallet Case: it has enough space for 7 cards, cash, and a whole lot more. It is handcrafted from faux leather. 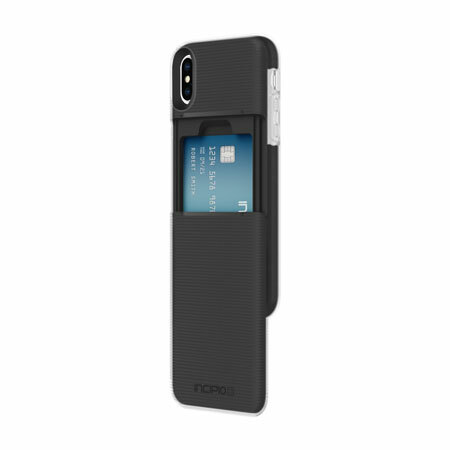 Incipio Stashback Sliding Credit Card Case: this iPhone XS case has a back panel that slides open to hold up to 3 cards. It has a shock-absorbing exterior that protects your phone from drops. iPhone XS Wallet Case with Smart Window: a handmade case that protects your phone from all directions. It has space for your cash and cards too. 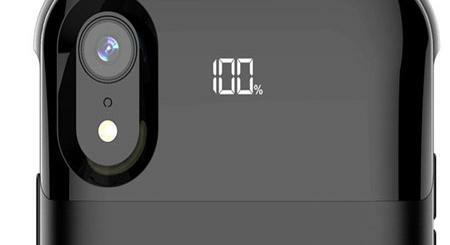 You can charge your phone wirelessly while it is inside. 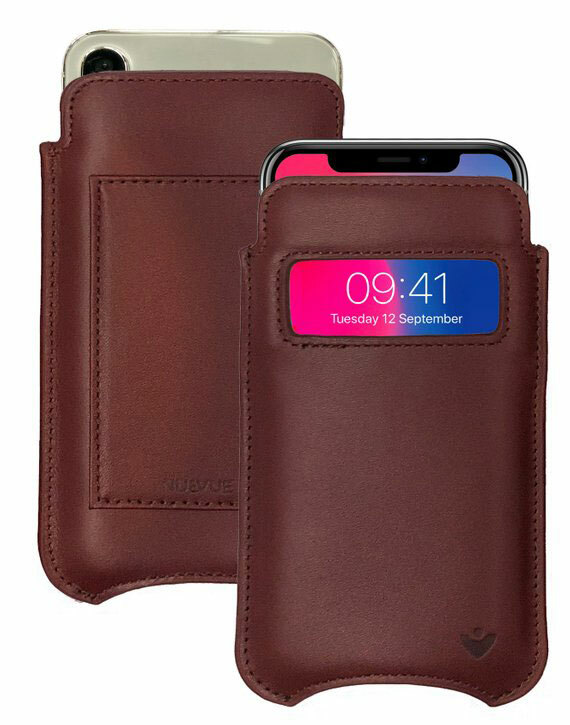 iPhone XS Leather Wallet: another beautiful leather case handmade to protect your phone. It supports various iPhone models. 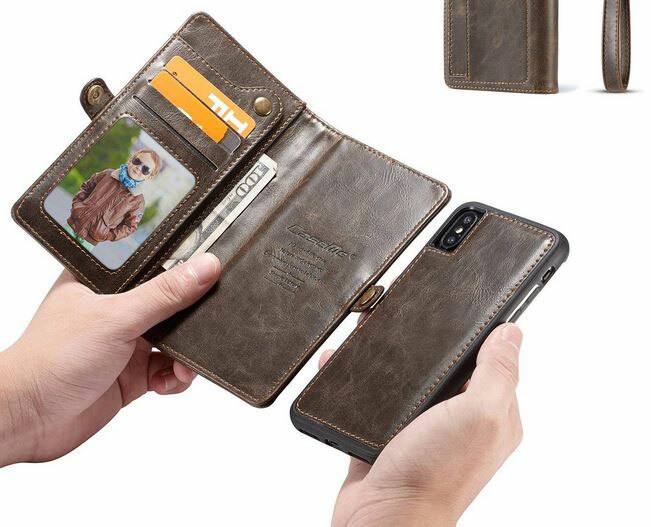 Have you found cooler iPhone XS wallet cases? Please share them here.